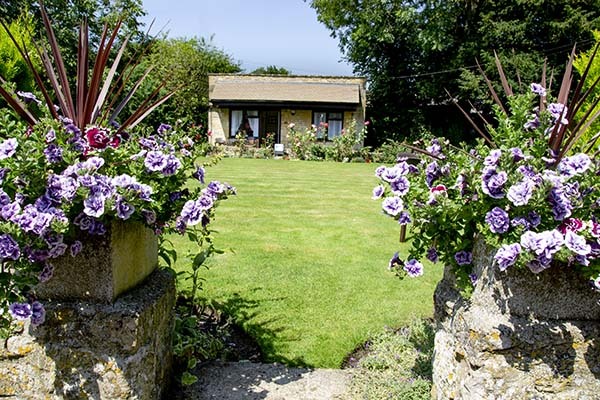 ﻿ Hotels in the Cotswolds - Welcome to Stow Lodge Hotel - Accommodation & Rates. 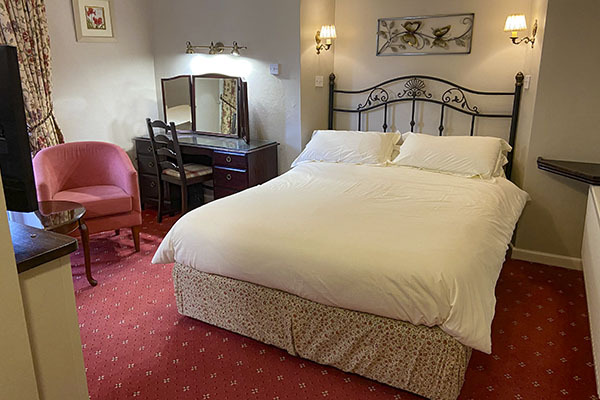 The hotel has 20 comfortably furnished en-suite bedroom's, situated in the main hotel, the hotel coach house and one bedroom, Room 30 the Chalet Suite, situated in the hotel grounds. All bedroom's are equipped with Television, Beverage making facilities, Direct Dial Telephone, Hairdryer and complimentary toiletries. All bathrooms have a bath with shower over the bath, except Room's 22 and 29 that have a shower only. 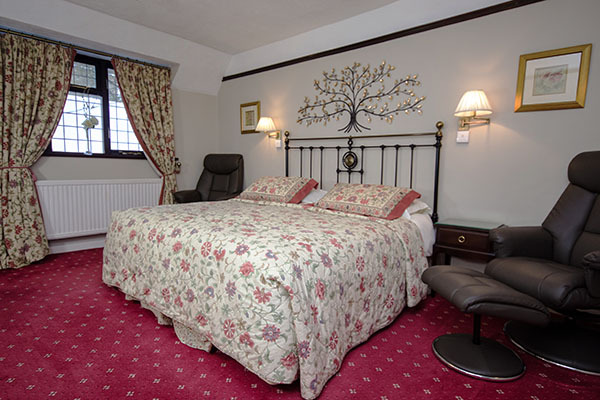 The Main Hotel Bedrooms are situated on the first or second floor of the main hotel, and overlook either the front gardens, or the Church. Room's 1 to 5 and Room 16 over look the front gardens. Room 7 to 10 over look the church and Room 12 over looks the Church and side gardens. 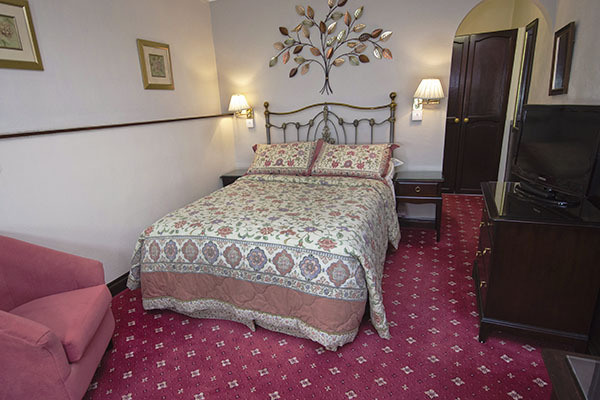 Rooms 1 to 12 are situated on the first floor and Room 16 is situated on the second floor. The second flight of stairs are quite steep and not suitable for guests with walking difficulties. 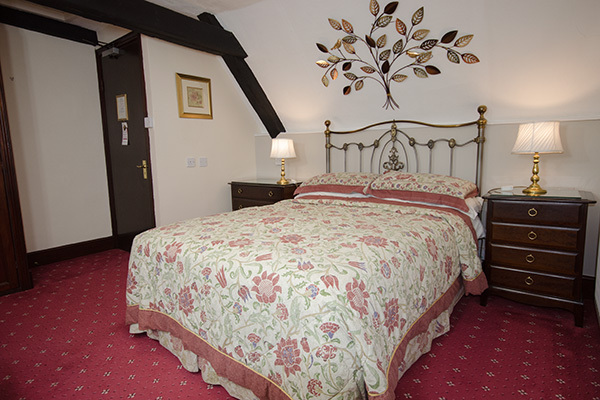 The Coach House Bedrooms are situated on the ground or the first floor. Room's 20 to 22 and 29 are situated on the ground floor. 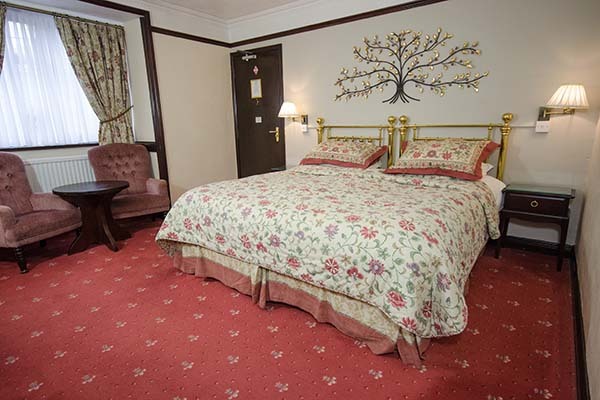 Room's 23 to 28 are situated on the first floor. 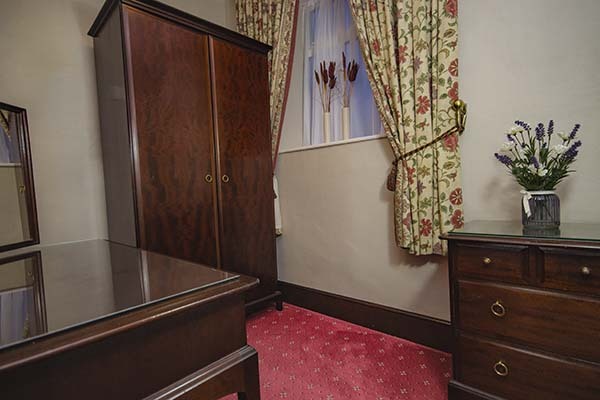 The majority of bedrooms look back towards the hotel. Room 28 and 29 overlook the road. 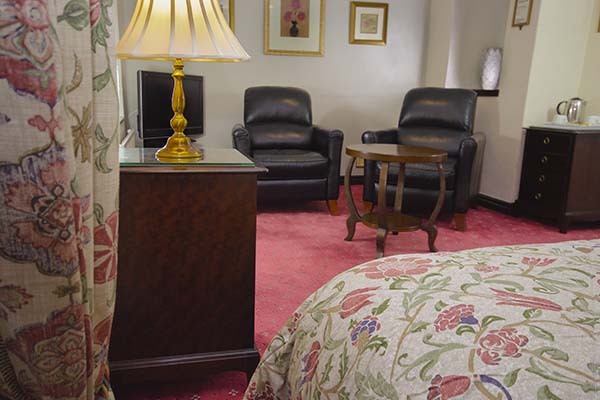 Room 17 and 18 are situated on the second floor of the main hotel and can accommodate two to four persons. 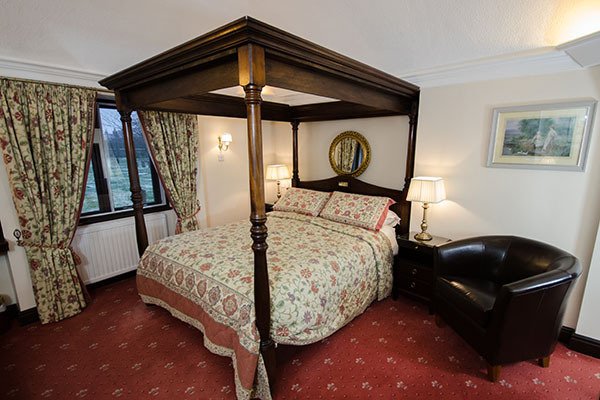 Room 17 has twin beds that can be zip-linked into one large double bed and overlooks the front of the hotel. 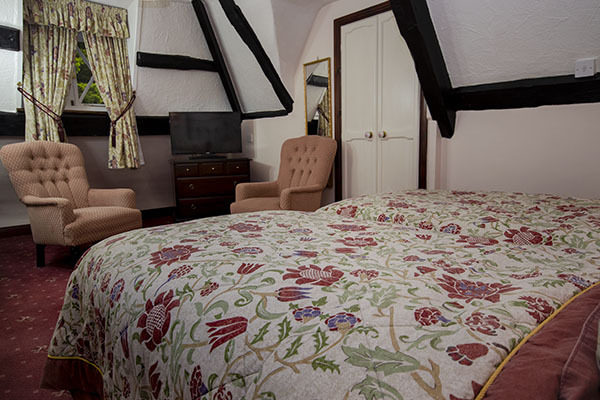 Room 18 has one king size double bed and overlooks the Church. 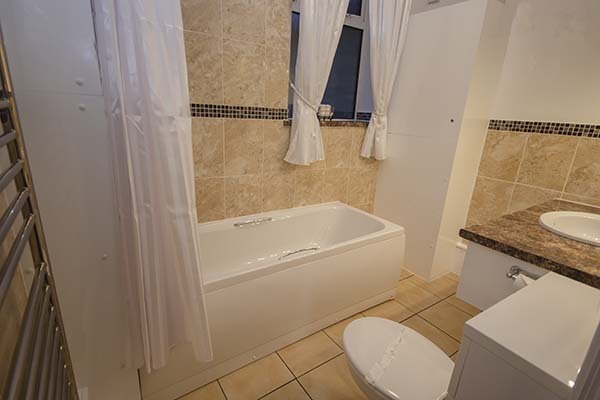 Both bedroom's share a bathroom, that is accessable, via a small private hallway, that separates the bedroom's and bathroom from the public hallway. 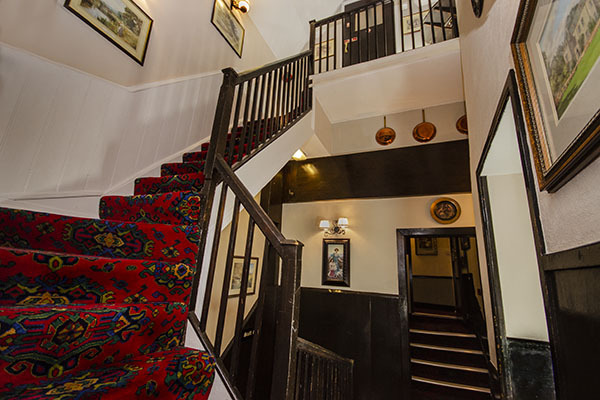 The second flight of stairs are steep and are not suitable for guest's with walking difficulties or young Children. 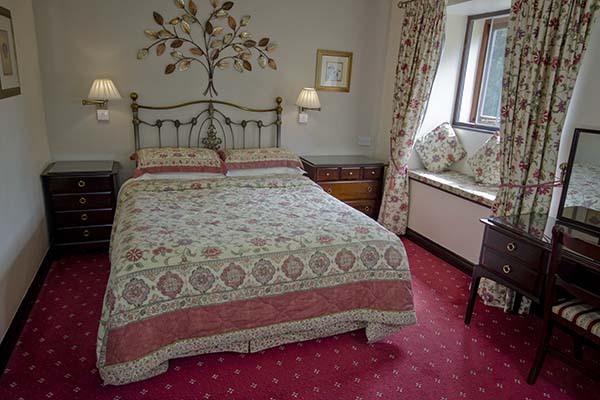 These bedroom's will only be let to adults or children over 14 years of age. 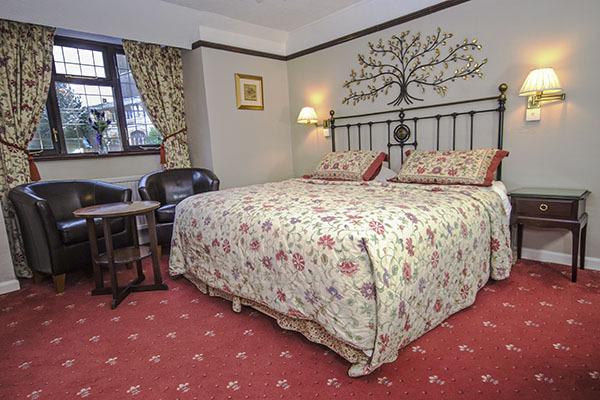 Room 30, the Chalet Suite, is situated in the hotel grounds overlooking the hotel. 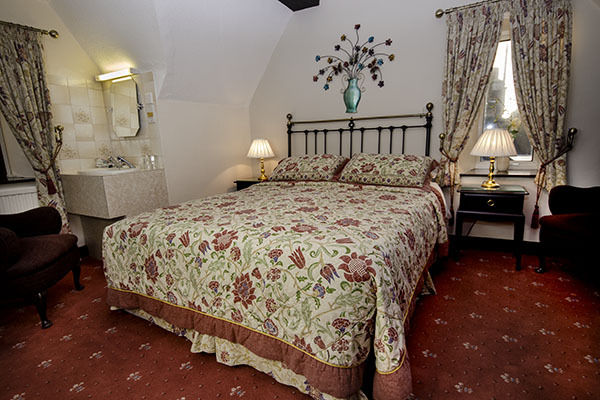 The Chalet Suite consists of one bedroom, one bathroom and a small dressing room. You can request twin beds or one zip-linked super king size double. 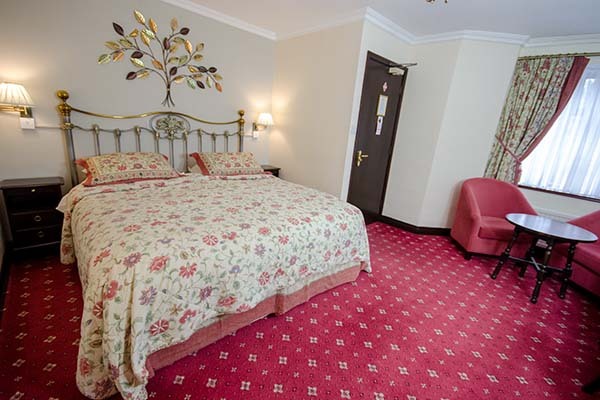 For stay's of three or more nights, there is provision for a small single bed for a third person. This provision will incur an additional charge of £30.00. per night. Room's 1, 16 and 22 are let at the single rate with no supplement. 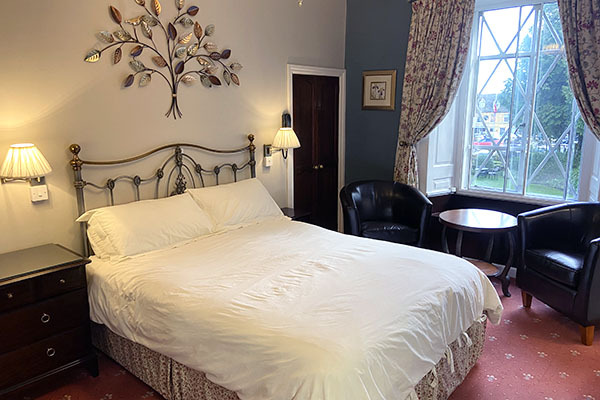 During quieter periods, standard double/twin bedded room's in the hotel coach house, will be let at the single rate, with no supplement, if the above room's have been taken. If two single room's are required. 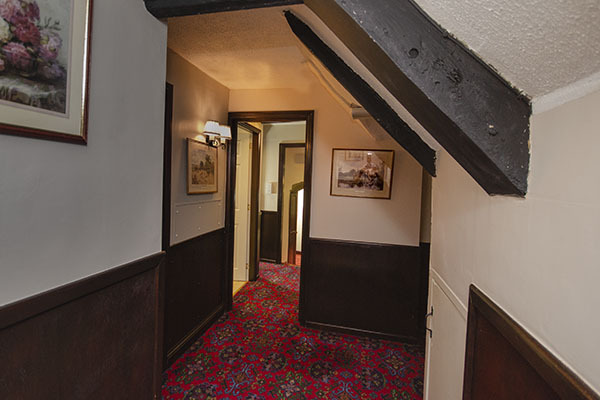 Room 17 and 18 can be let as two singles with a shared bathroom. 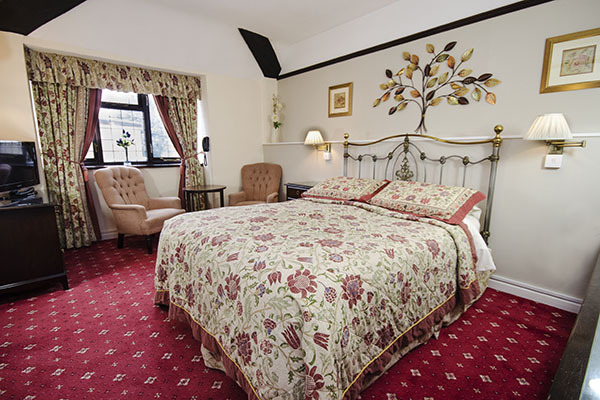 The Rates quoted above, are for a Double or Twin bedded Room, situated in the Hotel Coach House. 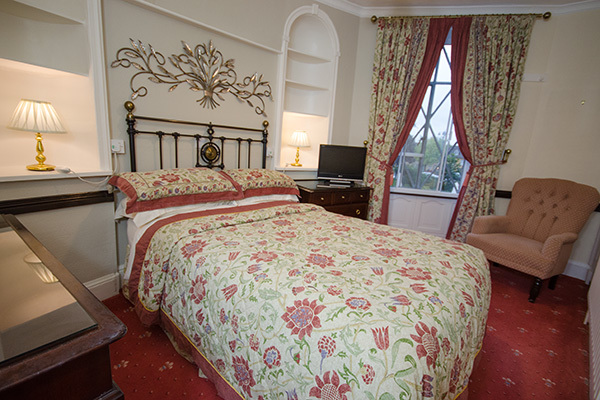 Dinner must be taken, on each night of your stay, and the offer must be accepted, when the booking is made. 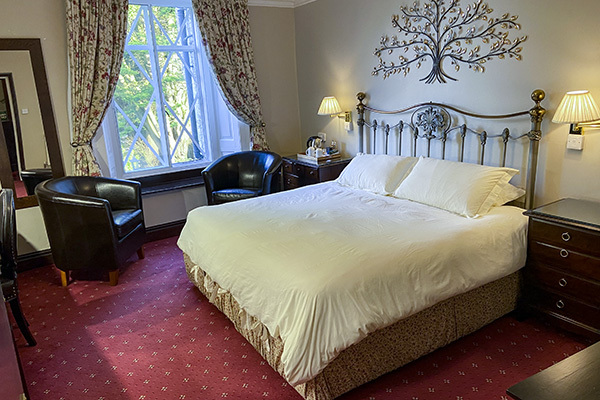 Prices will be available from Reception on arrival, but you will not receive the additional discount given on the deal above. 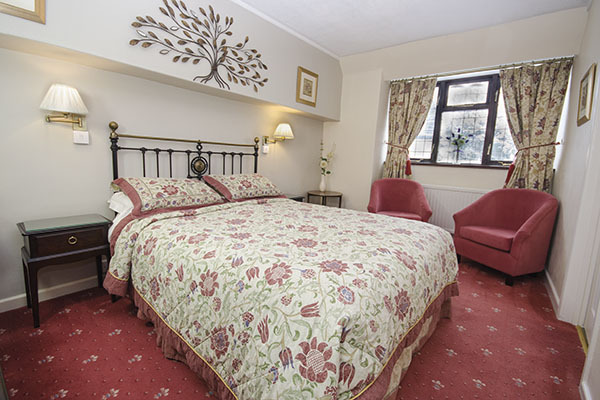 Bedrooms are usually available from 2.00pm. 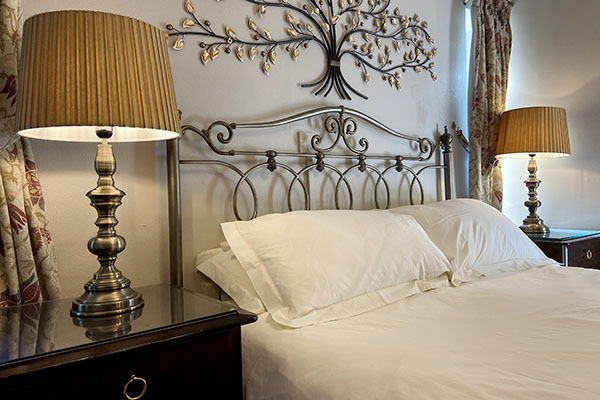 Champagne or Sparkling Wine may be pre-ordered and placed in your room for your arrival. 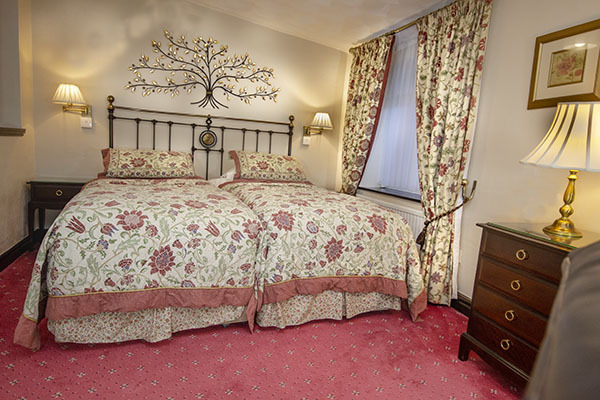 Flowers may be pre-ordered from our local florist and placed in you room for your arrival. Please click on image below for contact details.